Ross Oscar Knight Photography | Destination and Fusion Weddings | International PhotoCulturalist: Ross Oscar Knight Photography Featured in Atlanta Occasions Magazine! 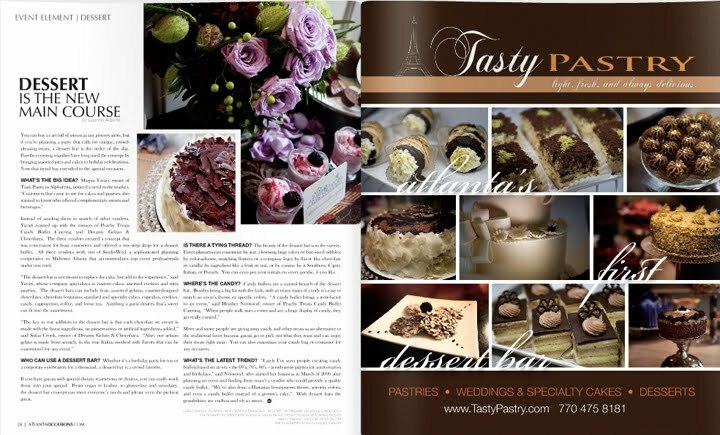 Ross Oscar Knight Photography Featured in Atlanta Occasions Magazine! Ross Oscar Knight Photography is proud to have our photography featured in the Winter/Spring 2010 issue of Atlanta Occasions Magazine. The shoot featured several vendors from StudioWed including: Lemiga Events, Le Jardin Francais, Dreamy Gelato & Choclates, Tasty Pastry, Luxe Expressions & Ink & Paint. I feel like I can grab a sweet right out of this photography! Well done and gorgeous as always! Hey Ross! So proud to FEATURE your photographer in our magazine! I'm so thankful for all your hardwork with the issue and shoot. Looking forward to releasing the rest of the images on the new blog! Great work as always bro you know how to rock the shots!